Home » Blog » Celebrities » Charities » Comments » Creatures » Featured Articles » UK » Trevor’s Week for 22nd April 2015. Trevor’s Week for 22nd April 2015. Where is this year going to! Winter seems to have gone and the trees are turning green again. Our wild plants are starting to flower and bats have started flying at dusk again. It’s a great time of year as our County bursts into life again and becomes so colourful and attractive. Thank you to all our volunteers who have been busy helping to return our over wintered hedgehogs back to the wild. More to go this week too. We have been extremely busy, starting with a major rescue to catch a distressed duck dumped on Decoy Pond Hampden Park. After 11 calls-outs and failing to catch the duck from the bank, we decided to launch a major rescue to catch the duck. Being spring we have been reluctant to do so because of the nesting waterfowl, so before we could commence a rescue we had to check the area we were going to work in to ensure we didn’t cause an problems. The dumped white Aylesbury duck which was one of a pair dumped on the pond, was being attacked by the swan and other ducks and was in a bit of a state. Rescuers Chris, Dave, Daryl, Kirsti and I took our small inflatable boat, our drysuit and long catch net, and on our third attempt at capture the duck was caught on one of the islands. The duck has gone up to the Swan Sanctuary and is now with the other white Aylesbury duck which was rescued at Piltdown Pond a few weeks ago. It is so cruel, unfair and illegal to dump domestic ducks into the wild like this, the females really struggle at this time of year. As you may have already heard, we have had two of our hedgehogs stolen from one of our pens in Uckfield. Thieves climbed over a locked gate and entered one of our pens between 8pm Friday 17th and 11am Saturday 18th April. The hedgehogs are micro-chipped so we know who is missing. The two females “Swimmer” and “Cherry” have gone. There is no way they can escape from the pen, and were due to be released this week back where they were rescued from, in Heathfield and Upper Dicker. It really feels like a kick in the teeth to have them stolen. We appreciate Sussex Police visiting and investigating as some rabbits were also stolen at the same time from a garden close by. Sadly the breeding of hedgehogs for sale is becoming more common. It is normally the African hedgehogs but some people have started breeding from wild European hedgehogs and trying to sell them. If anyone has any information please contact Sussex Police. 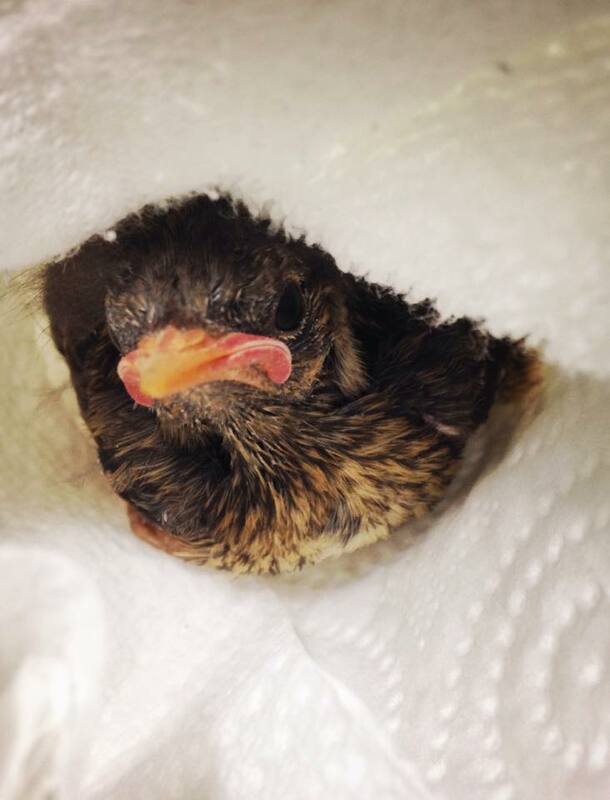 This week has seen more baby and young wildlife casualties coming into care including a young Dunnock from Seaford. 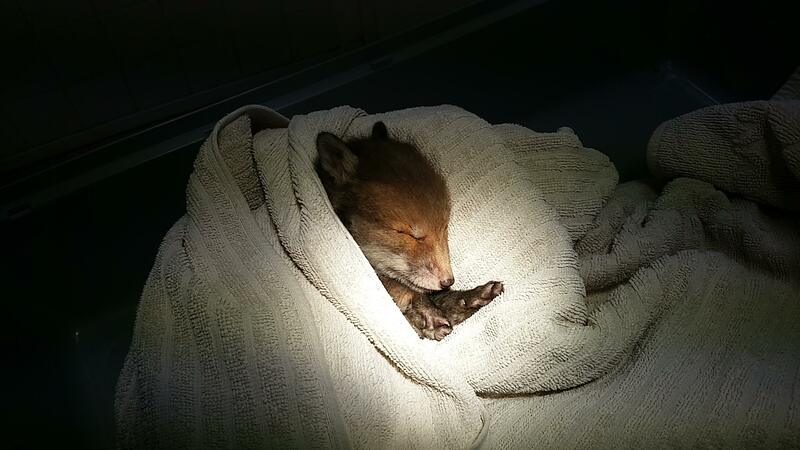 I rushed to assess a baby fox in a garden in Old Town Eastbourne. Sadly the poor cub had a badly injured rear leg which was infected and covered in fly eggs. Despite trying our best the poor cub passed away. 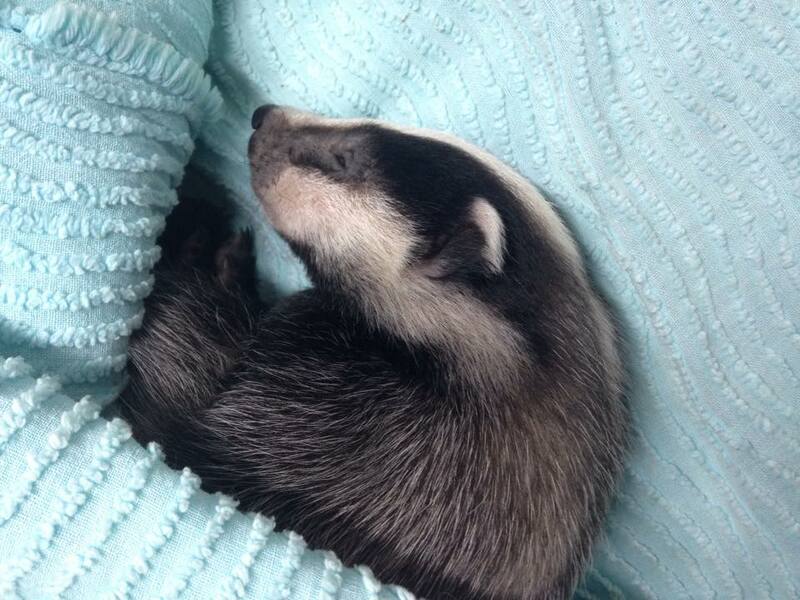 WRAS rescuers were also called to a baby badger found between Amberstone and Cowbeech. She was found in the middle of the road wandering alone. After examination no injuries were found. I met our rescuers at our Casualty Centre to assess her and then transported her up to Badger Cub expert Annette Risley at Folly Wildlife Rescue near Tunbridge Wells. A big thank you to the Mayor of Uckfield Ian Smith for raising £365 for WRAS at his Charity Dinner a few weeks ago. Also thank you to Ringmer Parish Council for making a grant of £100 to East Sussex WRAS. This is all very much appreciated and very much needed. 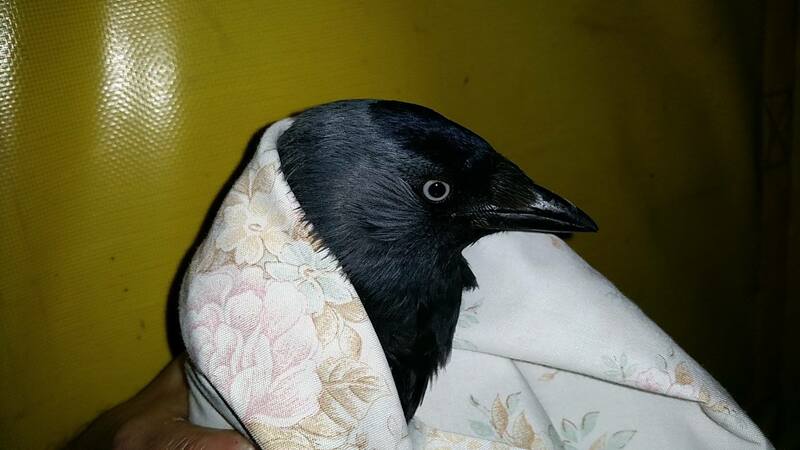 I attended a rescue late at night after a Jackdaw became stuck in a wood burning fire at a property in Cross in Hand. The bird had already been caught by the time I arrived and had minor burn damage to some wing feathers. The bird was taken to our Casualty Centre for rest and observation but released after test flying a couple of days later. Loads of boxes of gifts have been arriving this week from our Amazon Wish List. Including a new computer, DVD player for new educational area, envelopes for the next newsletters, various animal food, bowls, cleaning products, carriers, and lots more! Every day has been like Christmas here for the past week! Thank you Karen over in America who has been sending most of these items and also for sponsoring two of our indoor pens. 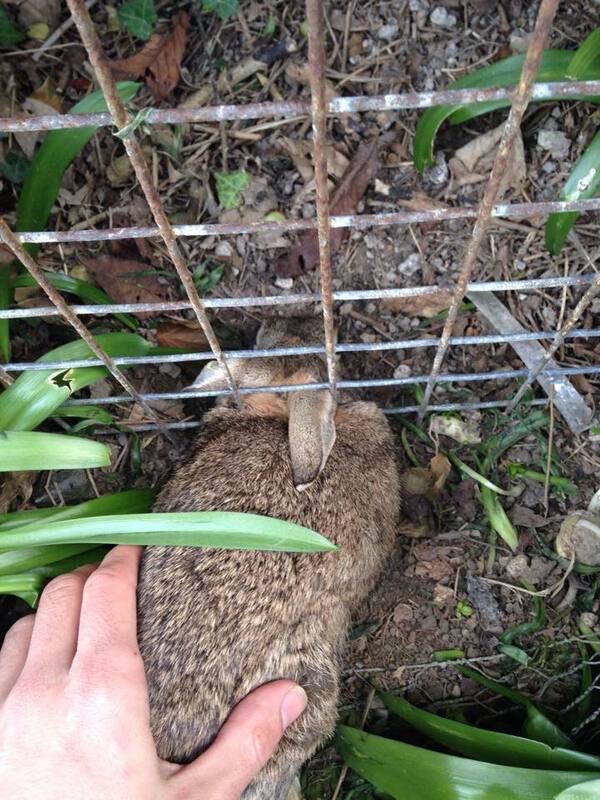 WRAS rescuers Keith and Chris dealt with a rabbit stuck in fencing near St Bedes school in Eastbourne. Rescuers were able to cut the rabbit free and returned to our Casualty Centre where I was then able to assess it condition. Chris and I both thought we could feel a fracture so the rabbit was taken to our vet Chris at Henley House Vets in Uckfield who performed an X-Ray. Unfortunately a fractured clavicle was found on examination. She is now back at our centre and we hope she will make a full recovery. If you find yourself driving past Piltdown Pond please slow down. There have been numerous fatalities over the past few weeks. We had an injured Moorhen rescued from the road by the pond last week. An x-ray revealed damage to the pelvis, it also showed a heavy lead burden internally. The moorhen couldn’t use it legs and we were advised to have the poor bird put to sleep. Apparently some people have the impression that WRAS charges for its rescue call-outs. We wanted to reassure you that we don’t and never have. The average cost to the charity is £75 per call-out and donations to cover the costs involved are very much appreciated.